I have recently tried to switch from store bought products to natural, homemade products using different oils, like coconut, jojoba, argon and olive oil. So far I am a huge fan of the results and am hoping I continue to prefer these because it's less expensive and I know exactly what ingredients I am putting on my face and body. I gave this set to my sister for her birthday last week, it would also make a perfect Christmas gift! 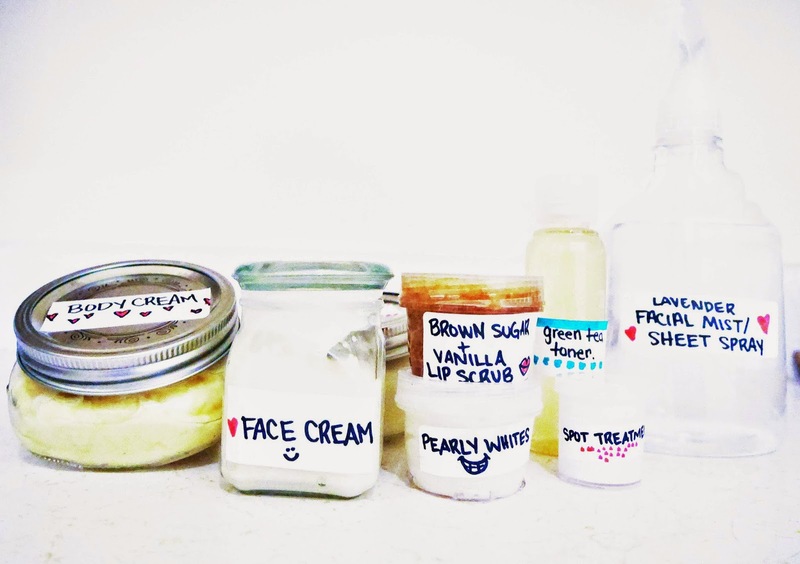 I made; body cream, body scrub, teeth whitener, toner, facial moisturizer, spot treatment and facial mist.